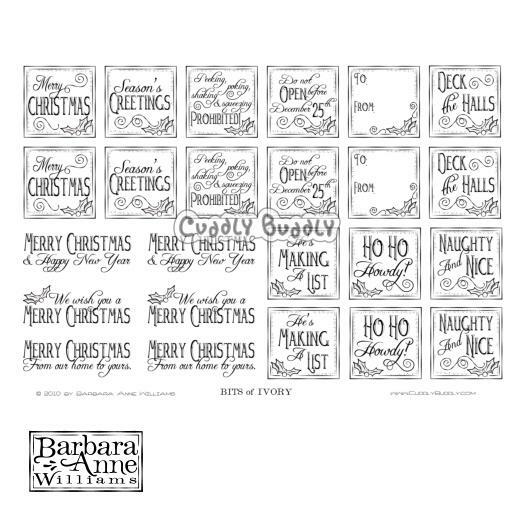 This set is one sheet (Fits on A4 or letter size page) and includes two each of twelve sentiments. 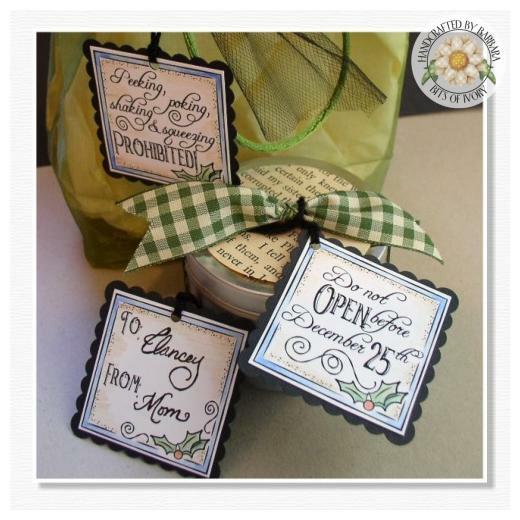 There are three unframed sentiments that are perfect for the inside of cards as well as covers, and nine framed "tag" sentiments designed to embellish your card fronts or to stand alone on gift tags. Each of the nine sentiment tags is approximately 4 cm across.